Mindtree Limited reported consolidated net profit of Rs 198.4 crore in January-March quarter. Mindtree's profit rose 3.8 per cent from Rs 191.2 crore. Mindtree's revenue during the quarter rose 2.9 per cent to Rs 1,839.4 crore. 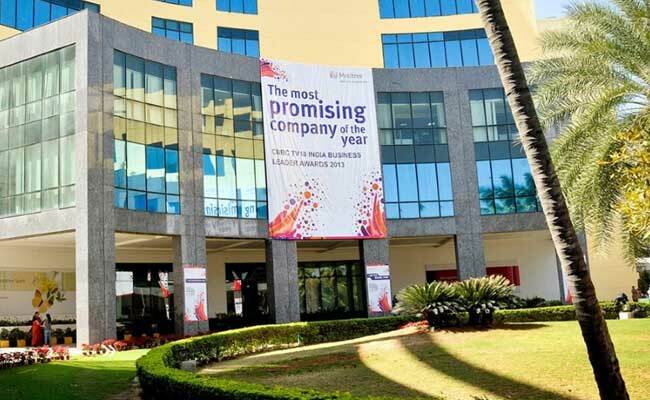 Mindtree Limited, the Bengaluru-based software services company, reported consolidated net profit of Rs 198.4 crore in January-March quarter. Mindtree's net profit rose 3.8 per cent from Rs 191.2 crore during the October-December quarter. Its revenue from operations during the quarter rose 2.9 per cent to Rs 1,839.4 crore compared with Rs 1,787.2 crore in the previous quarter. The company's performance in the quarter was boosted by 3.63 per cent revenue growth for high technology and media segment which stood at Rs 729 crore. Retail, CPG (consumer packaged goods) and manufacturing segment's revenue rose 2.3 per cent to Rs 407.6 crore, banking, financial services and insurance division's revenue advanced 3.53 per cent to Rs 401.5 crore and travel and hospitality arm's revenue advanced 1.24 per cent to Rs 301.3 crore. During the quarter, Mindtree's revenue in dollar terms rose 4.2 per cent sequentially to $262 million and in constant currency terms, its revenue rose 3.9 per cent sequentially. Its annual revenue in dollar terms crossed $1-billion mark for the first time, Mindtree said in a regulatory filing. "Mindtree has delivered exceptional performance for both the fourth quarter and the full fiscal year as we cross the historic $1 billion milestone. Over the course of two decades our strategy of being expertise-led and backed by a unique culture continues to help us attract world class people and create customer successes," Rostow Ravanan, CEO & managing director at Mindtree said. Mindtree recommended a slew of dividends at its board meeting on Wednesday. The board of directors declared an interim dividend of 30 per cent (Rs 3 per equity share of par value Rs 10 each). A final dividend of 40 per cent (Rs 4 per equity share of face value of Rs. 10 each) for the financial year ended March 31, 2019 and a special dividend of 200 per cent (Rs 20 per equity share of face value of Rs 10 each) to celebrate the twin achievements of exceeding $1 billion annual revenue milestone and 20th anniversary of the company which are subject to the approval of shareholders, Mindtree's regulatory filing added. Mindtree Rejects Hostile Bid From L&T, Calls Offer "Value Destructive"